Today, I’m going to share my experience with “The Power of Releasing.” I’m bringing this up because I know that being truly happy can be a challenge. Now, you might ask: what does releasing have to do with happiness? I believe releasing is at the core of regaining your happiness. Many of us are dealing with low self-confidence. And sometimes, without meaning to, our shortcomings can hurt other people’s feelings. Those shortcomings, or misunderstandings, can turn into a grudge. And over time, we don’t even realize we’re holding onto these negative feelings. We just live and wonder why we don’t feel great. 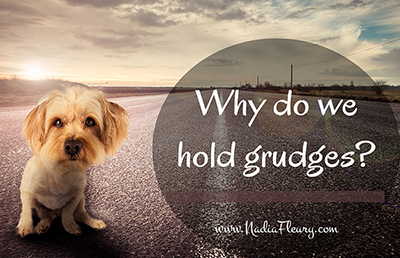 In my opinion, holding grudges feels like having a cold. When you’re in the midst of a cold, you cannot imagine how it feels to be healthy. You just know you feel down, and you lack energy. You can tell you’re running at 50% capacity, but there’s nothing you can do about it, so you go through your day, trying your best. Then one day you wake up and realize the cold is gone and you can breathe again. The power of releasing has the same effect as getting rid of your cold. 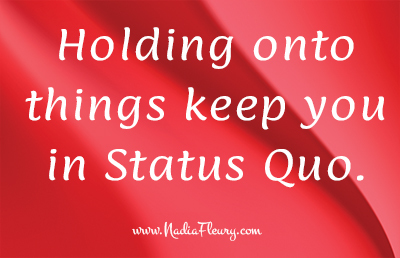 When you hold onto things — either physically or emotionally — it weighs you down. I remember there was a time I felt a heaviness in my heart. I was afraid of asserting myself. I used to say, “I pick my battles.” And let’s just say I didn’t pick many battles because I didn’t want to be unpleasant or rock the boat. I lived with the hope that someday, it would be a better day. Although hope is a powerful motivator, it’s not a bulletproof strategy for long-term life fulfillment. I’m bringing this up because back then I had no clue that I was holding onto resentment. I just felt heavy in my chest. And my state of mind matched my overall feeling of sadness. A heavy feeling in your chest cannot be seen on a CAT Scan or MRI, but it’s real. As Einstein discovered, everything is energy, and that weight on your heart is trapped energy. In some cases, not letting go is a reason to justify a bad habit that a person doesn’t want to address. Where I used to work, one of my co-workers, Scott, held his mother responsible for why he wasn’t more successful in life. At one point, I asked him what she did to him. It turned out that his mother had a lot of shortcomings. However, she was a widow with four small children by age 26. I asked Scott if he had all the answers figured out at 26. Let’s just say the subject died very quickly, and for a good reason. Scott’s story about his mother served him a purpose, and he wasn’t ready to let it go. As much as I could see Scott using his mom as an alibi for not getting his act together, I have to be fair. I was also holding onto resentment without knowing so. Somehow we tend to not speak openly about our feelings because we fear being laughed at or not being understood. If you fear releasing because you think it might be painful, I can attest from experience that it’s the other way around. Holding onto a grudge is like enduring a toothache. It just gets worse as time goes on. And that was exactly what happened to me. As I mentioned in the previous podcast, I didn’t know I was going around with a heavy heart. I just knew I wanted answers. And when I did ask the universe to provide answers, it meant I was open and ready to receive new information. Now, bear in mind, I was seeking answers – and I pushed myself out of my comfort zone to receive them. This is crucial if you’re looking for growth. You can never get something for nothing. You’ve got to be willing to give first. One day, I received an email invitation to attend a “Nite to Reignite” with Phil Black. I debated whether or not to go. In the end, my girlfriend made me promise that I would go. Without her, I wouldn’t have gone. Fulfilling the promise acted as a commitment. The universe pays attention to these feelings and helps you when you chose to commit to your growth. When I showed up that evening, because the group was small, Phil let go of his script and did something a little more personal. He asked us to write down what our lives would look like a year from then. When the group was done, he said, “OK. For this to work, you’ve got to release something. Write down what you want to let go.” He explained that if you don’t let go of something, you’ll have the same experiences as you’ve had in previous years. Well, I had never been invited to release anything. This was a new language to me. 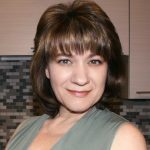 I looked at my paper and wrote what was in my heart: “I release the resentment I’m holding towards my family for abandoning me with the skincare business.” What I didn’t expect was to read it out loud to the group. The moment I did this, I could feel my eyes tearing up. At that point, I felt embarrassed. And Phil picked up on this. He acknowledged my tears. And he stopped talking for a few seconds. These few seconds felt like minutes because I was afraid he would tell me to go away and come back when I was feeling better. Instead, he went straight to my soul. And rather than picking on me, he said, “I can relate to your sufferings. I suffered from abandonment myself.” And he told me a little story about why he was saying that. It wasn’t so much what he said that mattered, it was the tone of his voice, the depth of his understanding. I will never forget the experience because for the first time I felt understood at a soul level. Phil took such a weight off my chest. The event turned my life around. It filled my heart with new determined energy. Three months later, I met Phil again, and as I was thanking him for his gift, he gave me another one. He asked where I was at with my business. He was asking so that he could help me promote it on social media. I said, “Oh, no, don’t push my website. It’s a mess.” And he said, “What are you waiting for?” Those words, said the way he said it, the tone and all, made such an impact. I could tell in his heart that he believed in me. And he wanted me to be successful. Most importantly, he cared. This song, mixed with Phil’s words, became my anchor. From that point on I knew I could achieve anything because Phil gave me the gift of believing in myself. And to honor those of you who wish to release something but don’t feel “quite ready,” I’m dedicating this powerful song to you in the hope that it makes a difference in your life. 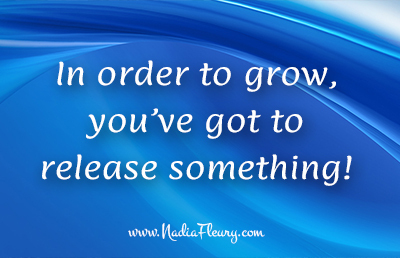 What comes with releasing is allowing. All elites in this world, either performers or athletes, surround themselves with great coaches, trainers, and mentors. The reason is simple: you cannot see the instructions written on the box when you are in it. 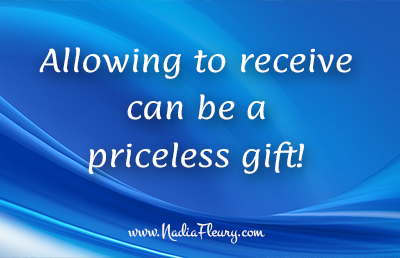 Allowing yourself to receive can be a priceless gift. However, if you wish to release a burden and you’re not currently in a position to work with a coach or trainer, here’s a process I suggest. Take some quiet time and allow yourself to feel that heavy feeling inside your body. The idea here is to release the pain, and to go there, you’ve got to be willing to revisit the event. However, this time, instead of dwelling on the pain and the story of the event, shift your body and rise above the event. Look at it as if you’re above the timeline, looking down. This perspective will give you new insights into what took place. The key is to ask yourself what you can learn from this event. This is key. Once you see your old story from a new perspective and understand that whoever hurt you didn’t mean to, you can release the old story. Forgiveness and compassion will come into your heart and release any pain. Now, let’s look at the power of releasing from a different perspective. Sometimes you have to release yourself from something that is no longer serving you, like letting go of a job that is no longer fulfilling. Oftentimes, the signs are all there. Drama may occur, or your boss will give you a hard time. There comes a time when you just feel like it’s time to go. Some people will resist this change because of fear of poverty: “What if I don’t find a job that will pay me as much money?” As I said before, fear will prevent you from enjoying your life if you let it happen. Sometimes you’ve got to release the old job before finding the new one. A few years ago, I was talking with a lady who was on disability after a work injury. She didn’t receive much, but she held onto that security as if her life depended on it. She didn’t dare go back to looking for a job because she wasn’t sure that she could bring more money home. She chose to live on a small but secure amount rather than taking the risk to put herself out there. Who knows? It could have brought her three times as much. And what is the price for life fulfillment? There are times in life when you don’t see the results until much later. Take, for example, J.K. Rowling, who wrote the Harry Potter books. While she was writing her books, nobody gave her the time of day. But she pursued her dream. And one day Universal Studios knocked at her door, saying, “We would like to create a theme park using your characters.” She had to wait a long time to achieve her dreams of seeing her book published. I can imagine her feelings when she heard the news that her book was going to be turned into a movie. I’m bringing this up because it takes courage to follow the course until it’s completed. Sometimes, it boils down to what is more painful for you: staying in an unfulfilling job or putting up with the discomfort of not earning as much for a while? Only you can decide for yourself what is best. Sometimes the universe pushes you out of your job without your control. This can be the case if you get sick or you suddenly have to take care of a sick parent. 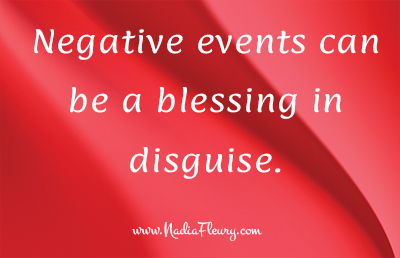 Oftentimes, those painful events are a blessing in disguise. The power of releasing applies to relationships, as well. Letting go of an unsupportive friend or spouse is not for the faint of heart. But when you choose to let go of someone you love very much, know that inside your heart, the relationship is no longer supporting your goals. There comes a time when you have to make difficult choices. Releasing a relationship is very painful, yet necessary to create space for a new relationship in your life. No two things can occupy the same space at the same time. That’s why if you keep holding onto what you have, you aren’t allowing any space for new things to come in. You stay in the status quo and stagnate. On the next blog post, I’ll be going into more detail about the power of releasing an old, unsupportive belief.